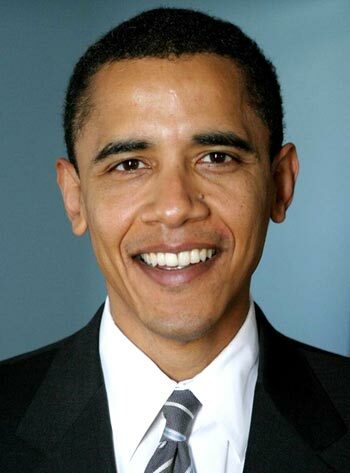 Today, on the 20th January 2009, Barack Hussein Obama was inaugurated into the Presidency of the United States of America. He is the 44th president of the United States, succeeding President George W. Bush who was, in the opinion of many, the worst president yet. There wasn’t exactly an abundance of sadness as President Bush left the stage. Much of this inauguration has an Abraham Lincoln flavour to it. Reference was made during President Obama’s speech, and even the menu at the presidential luncheon was slanted towards the tongue of the great man. Its no coincidence then that 2009 is the 200th anniversary of the birth of Abraham Lincoln, the 16th President of the United States. Interestingly enough, one of the most popular webpages was that containing the menu for the inauguration luncheon held in the Statuary Hall. Senator Joe Biden first took his oath of office from Supreme Court Justice John Paul Stevens. Unfortunately Chief Justice Roberts stumbled through the leading of the oath, leaving Barack seeming nervous and missing his words. However he followed this up with a magnificent and powerful oratory, fluent and eloquent. Gone was the boyish, smiling, nervous fellow – here was a stern and determined man, hard and unlikely to take nonesense from anyone. Here seems to be the leader America has been calling out for. See his full inauguration speech here.